When I was around the age of eight, I lived on R.L. 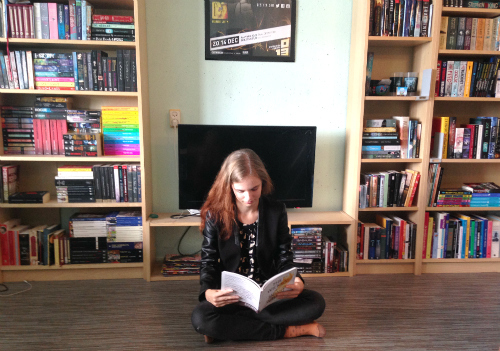 Stine novels. Together with Darren Shan and a handful of Dutch horror writers, he was my favourite author. My library had two shelves full with his books – probably about twenty Goosebumps novels and another thirty Fear Street ones. I loved the thrills, I loved the scary parts, and I loved all of the monsters. In Don’t Stay Up Late Stine returns to Fear Street, giving us a new story of terror. Between 1997 and 2014 Stine hasn’t written any new Fear Street books, and Party Games and Don’t Stay Up Late are part of a relaunch of a new batch of books set in this classic scary town. This book was so incredibly nostalgic to me. Even though the story is new, it has all of the Stine staples that I remember from my childhood. 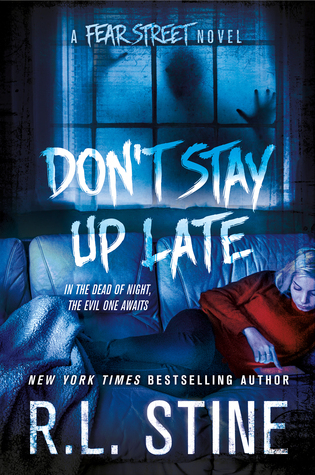 The jump scares, the dark conspiracies, the freaky hallucinations… Even though Don’t Stay Up Late is written for a modern audience, it still reads like a book from the 90s. The language is archaic, even though it now has a sprinkling of modern devices to incorporate. The writing felt rather clunky to me as an adult, and I can’t decide whether it has always been that way or whether it’s just a problem that is unique to Don’t Stay Up Late. To be honest, Don’t Stay Up Late isn’t very scary any more when you’re no longer a kid. On the other hand, I know that I would have devoured this book when I was ten. The language is very easy, and it’s a great book for teens that are reluctant readers (or for ferocious middle grade horror lovers like I used to be). It doesn’t hold much substance for an older audience, though it’s still quite fun for old time’s sake.